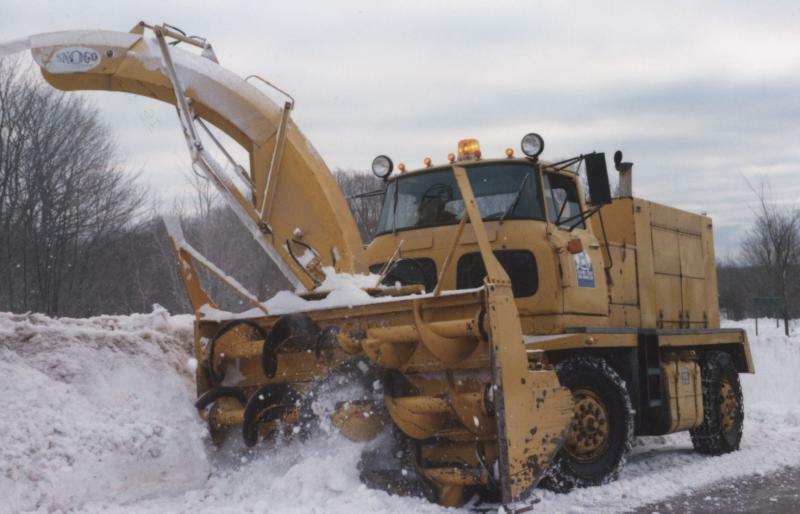 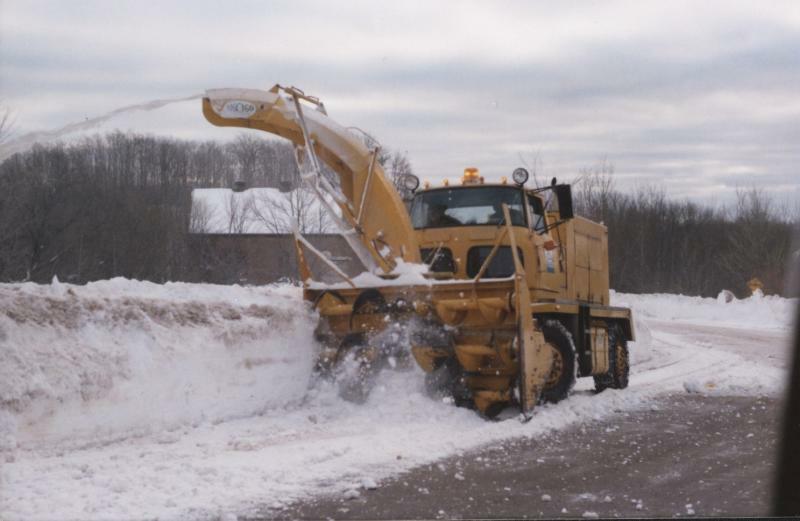 Single-stage snowblower in Painesdale. 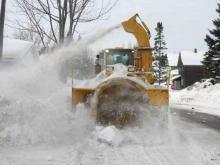 Cutting back snow banks in Painesdale. 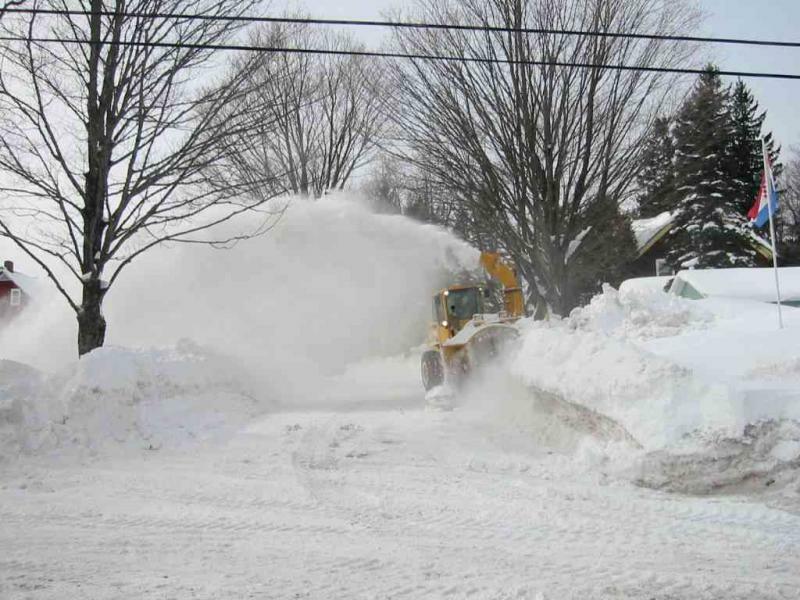 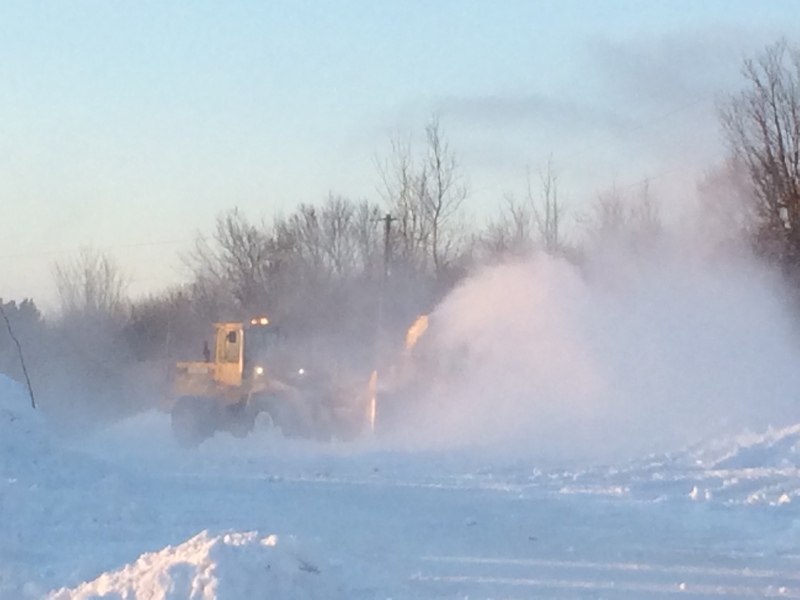 Snowblower eats through a high bank, widening road. 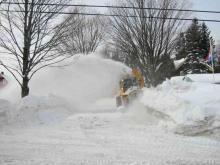 Snowblower eats through a high bank, widening road.